Drain the engine coolant system. Refer to Cooling System Draining and Filling. 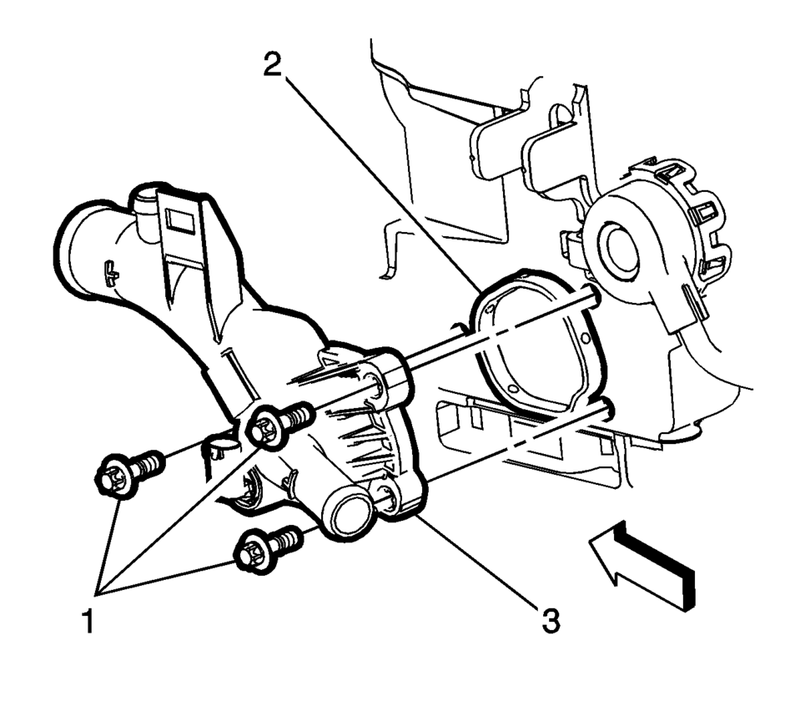 Remove the heater outlet hose (1) and the heater inlet hose (2). 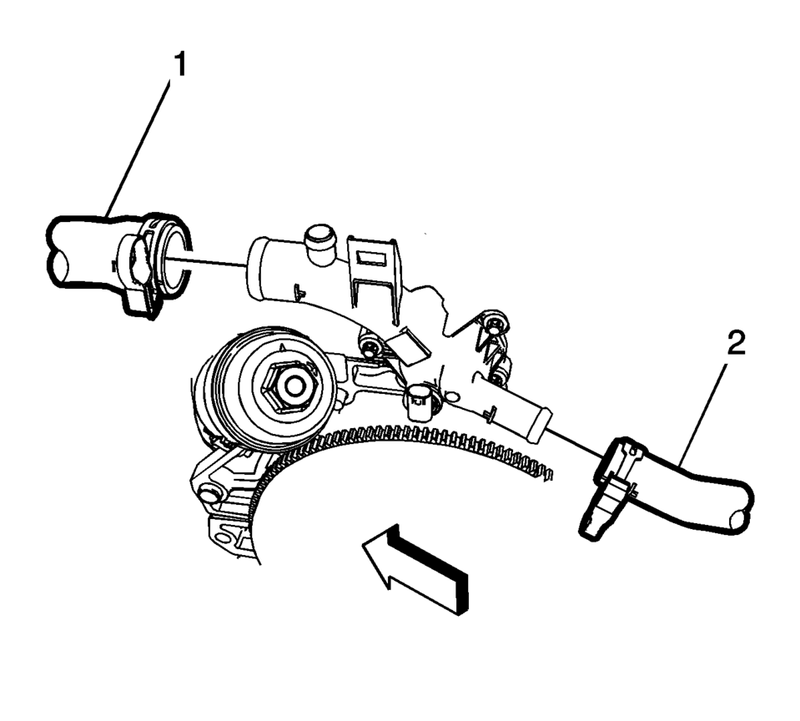 Remove the water outlet bolts (1) and discard the water outlet seal (2). Remove the water outlet (3). Install the water outlet (3) and a NEW water outlet seal (2). 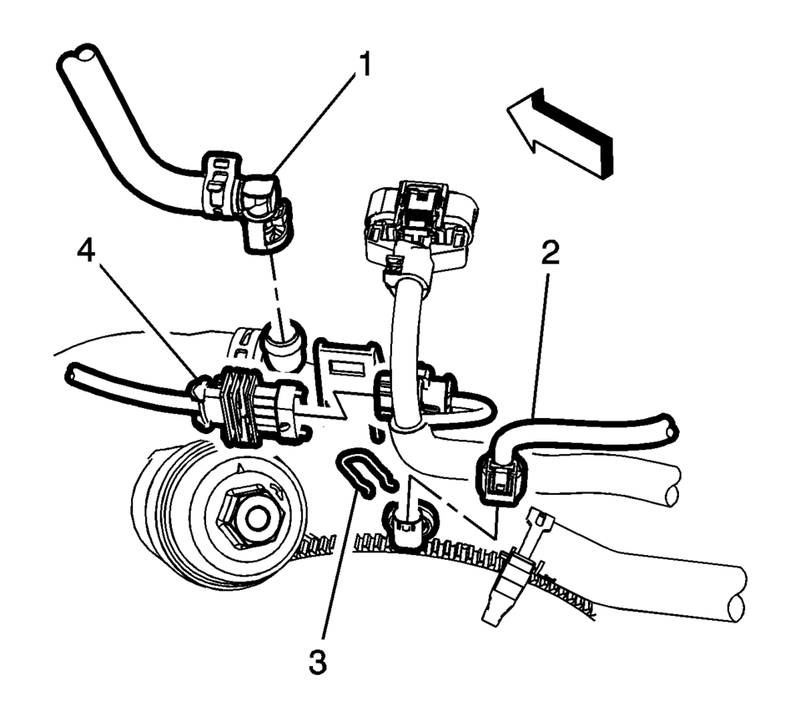 Install the heater outlet hose (1) and the heater inlet hose (2). Fill the engine coolant system. Refer to Cooling System Draining and Filling. Start the engine and check for coolant leaks.